Your body goes through a lot of changes during pregnancy – some more disruptive than others. Unfortunately, varicose veins are a common side effect as pregnancy progresses. Many women notice protruding veins in their legs, groin, and buttocks, and some experience spider veins, hemorrhoids, and/or vaginal varicose veins. Depending on the severity and location of the varicose veins, effects range from an unsightly inconvenience to a truly painful condition. Pregnant women frequently ask, “Do varicose veins go away after pregnancy?” The good news is yes – they often improve or disappear altogether within six to twelve weeks after your baby is born. The bad news is that in some cases, a variety of factors prevent varicose veins from healing on their own after pregnancy. 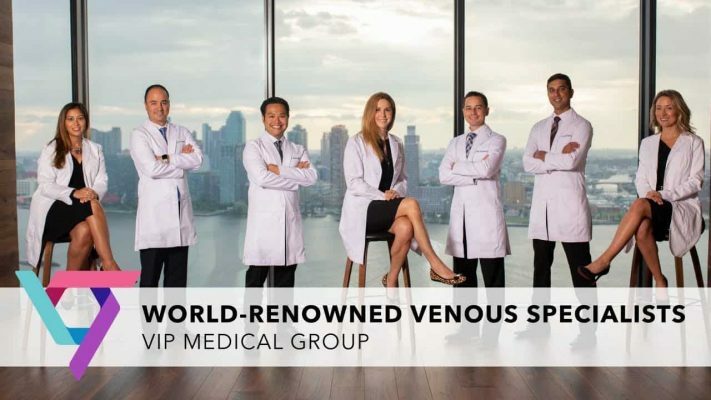 If you are experiencing discomfort and you aren’t noticing improvement after giving birth, a specialized vein doctor in New Jersey or vein doctor in New York can help. Your circulatory system ensures that blood moves through your body efficiently, carrying oxygen and nutrients where they need to go, then removing waste and carbon dioxide. Arteries handle the job of delivering oxygenated blood to organs and tissues, and veins take the deoxygenated blood back to the heart. Veins are already tasked with a difficult responsibility, because moving blood from the lower half of your body towards the heart means working against gravity. This job becomes more of a challenge during pregnancy due to hormonal changes, increased blood volume, and pressure on the veins from the baby’s weight. A series of tiny one-way valves makes it possible for veins to transport blood effectively. The valves open to allow blood to pass through, then close to prevent it from flowing backwards. The changes in your body from pregnancy can put pressure on these valves, and in some cases they are damaged. Injury or vein disease such as Chronic Venous Insufficiency (CVI) can also damage the valves. When valves aren’t working properly, blood leaks through, and it pools in the lower part of your body. As more blood pools, pressure in your veins increases, weakening the walls of the blood vessels. At this point, the veins begin to swell, and if they are near the surface of your skin, you will start to notice the signature bulges of varicose veins. You may also see a web of thin red, purple, or blue veins just beneath the skin. These are referred to as spider veins. If you develop varicose veins during pregnancy, and you are experiencing discomfort, see a vein doctor in NY or a vein doctor in NJ for help with managing your symptoms. Pregnant women are at higher risk for varicose veins, even if they have no other risk factors. However, some women are more likely than others to develop this condition. For example, genetics plays an important role in varicose veins. If your family has a history of vein issues, you are at greater risk of developing varicose veins and spider veins yourself. In addition, a variety of lifestyle factors contribute to the likelihood that you will develop varicose veins. Being overweight, smoking, and spending a lot of time sitting or standing can lead to this condition. Can Varicose Veins During Pregnancy Be Prevented? Do make light exercise a priority, with your doctor’s approval. Walking can make a big difference for your circulation, which decreases the risk of varicose veins. Do wear compression stockings. These are specially designed to support healthy circulation, which can reduce your risk of developing varicose veins or keep swelling from getting worse if you already have them. Do elevate your feet and legs whenever possible, including while sitting. You can use a stool to rest your legs, which reduces some of the pressure on your blood vessels. Don’t cross your legs or ankles while sitting, as this inhibits circulation. Don’t sit or stand for extended periods. If you must spend a lot of time sitting or standing, take frequent breaks to move around, walk briskly, and/or elevate your legs. Your vein doctor may have additional suggestions for reducing discomfort caused by varicose veins during pregnancy. Of course, the big question is, “Do varicose veins go away after pregnancy?” As mentioned, for many women, they do. Within three months of giving birth, many notice varicose veins and spider veins improving or disappearing altogether. Unfortunately, some women discover that their condition does not improve on its own. This is most common for women who already had vein issues before pregnancy, those with a family history of varicose veins or vein disease, and those who have had multiple pregnancies. If you fall into this category, there are advanced, minimally invasive treatment options available. Today’s treatments for varicose veins are nothing like the invasive vein stripping surgery that was once popular. Instead, the procedure is completed on-site at your vein treatment center. Your vein specialist uses a local anesthetic to ensure you are comfortable, and then the unhealthy vein is permanently closed through a small incision in your skin. Usually, these cuts are so small that they don’t even require stitches. Once the varicose vein is closed, blood is automatically rerouted through other, healthier veins. The tissue from the varicose vein is reabsorbed by your body, reducing and eventually eliminating any symptoms you have been experiencing. All of these procedures can be completed in an hour or less. Your vein doctor will recommend the best choice for your individual situation. If you are ready to get rid of varicose veins, a physician who specializes in vein disease is the best option. While doctors in other specialties, for example dermatologists and general practitioners, can offer basic assessments and superficial remedies for vein conditions, a vein specialist has the education and experience needed to diagnose any underlying issues contributing to your varicose veins. The Board-Certified vein specialists at the Vein Treatment Clinic are experts when it comes to eliminating varicose veins. Schedule an appointment online or by calling 855-248-4609.